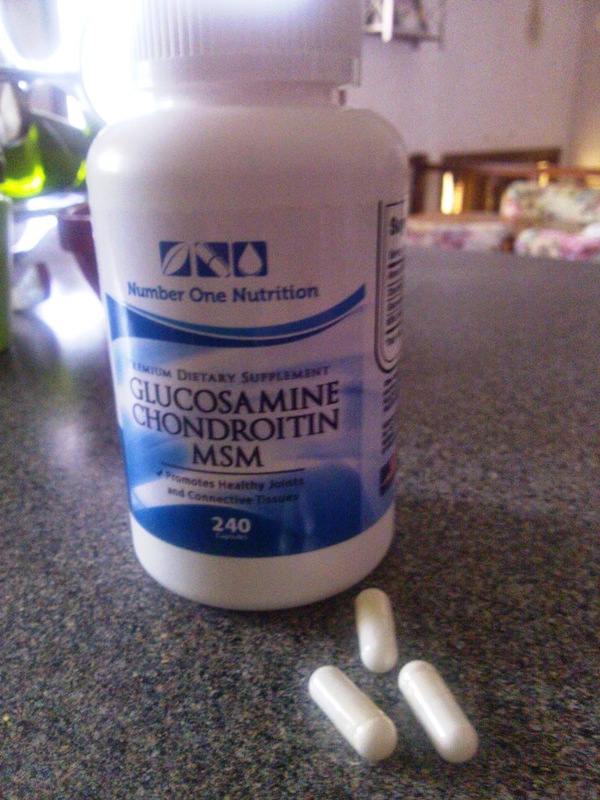 Number One Glucosamine is a Glucosamine Chondroitin MSM supplement which promotes healthy joints and connective tissues. These substances naturally occur in our bodies, but they get decreased over the years, causing discomfort and pain. This supplement helps to build cartilage and protect joints, maintain healthy joints, minimize joint pain, and give joints more elasticity. I had my dad review it since he needs to take a glucosamine supplement for his joints. The first thing he noticed is that Number One Glucosamine doesn't contain any additives or fillers, like the sodium that his former brand contained. He was very happy about this since he is watching his salt intake.